On the island of Oahu, Hawaiian Electric Co. is opening a backlog of about 4,000 customer solar systems it once feared could destabilize its distribution circuits. That move is being helped along by Enphase microinverter data that can provide a much clearer view of what’s really happening on the edges of HECO's grid. On Tuesday, Enphase revealed details on a months-long collaboration with HECO to map out how customer-owned rooftop solar affects its distribution grid on a circuit-by-circuit basis. The results have allowed HECO “to clear nearly all of the backlog of customers awaiting approval to interconnect their rooftop solar systems in a safe and reliable manner,” Jim Alberts, the utility’s senior vice president of customer service, said in a prepared statement. 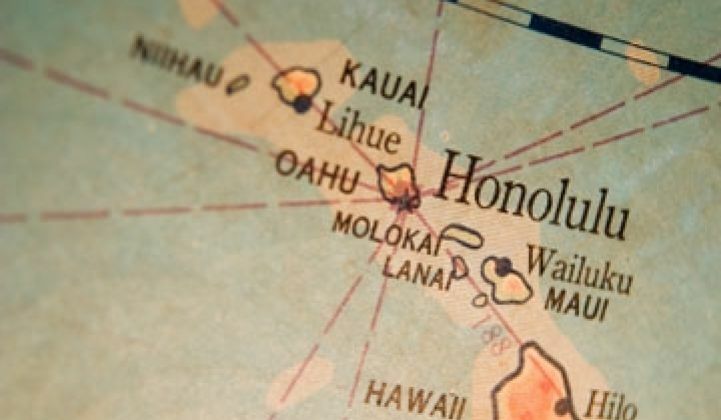 Tuesday’s announcement is the latest from Hawaii to show how utilities and distributed solar technology companies can work together to determine where rooftop solar is, or isn’t, a threat to grid stability, in ways that utilities may not be able to do alone. In January, for example, HECO told state utility regulators that its work with SolarCity and the National Renewable Energy Laboratory (NREL) has shown that enabling “smart inverter" functionality at customer-owned solar sites could allow it to double the amount of PV installed on heavily impacted circuits. The following month, HECO and Enphase announced they were resetting the frequency and voltage ride-through settings of Enphase’s microinverters, which convert about 70 percent of Oahu’s rooftop solar from DC to AC power, to allow for more stability during grid disturbances. But the newly announced Enphase-HECO collaboration also highlights how data from solar systems -- at least those set up to collect and analyze it -- could become an integral part of planning for a future in which more and more energy comes not from utility controlled power plants, but from distributed energy at the grid edge. That has important implications for the regulatory reforms being carried out in Hawaii, California, New York, and other states grappling with the emergence of customer-owned distributed energy resources. Enphase’s work with HECO started around December, after the utility had spent the past few months struggling to comply with orders from the Hawaii Public Utility Commission to unblock its long-standing backlog of customer solar interconnection requests, Konkar said. The main question HECO wanted to answer was, do high levels of solar correspond to voltage disruptions on circuits, or don’t they, he said. For years, HECO has pointed to data showing that customer-owned solar is generating more power than average minimum daytime loads on a large number of its circuits, or even exceeding half or more of circuits’ average daily peak loads, and tying those facts to its fear that distributed solar is presenting it with a looming grid stability problem. But that data doesn’t directly correspond to the substation-level data HECO collects on where over-voltage or under-voltage problems were occurring on its circuits, which is the real problem for grid operators, Konkar noted. Enphase, by contrast, has been collecting high-granularity voltage and frequency data from its microinverter fleet for years, communicated through powerline carrier (PLC) signals to cellular or broadband connections at each installation and uploaded to its cloud-based control platform in five-minute increments, he said. That’s a level of granularity unusual for most solar inverters or metering systems, by the way, and adds up to about a terabyte of data per day the Petaluma, Calif.-based company collects from its microinverters, he said. That data is a lot more detailed than the substation-level data that HECO collects, and covers a lot more circuits than the utility has been able to track using specialized sensors. So when HECO came to the company to ask for help, Enphase started working on ways to share its data in ways that wouldn’t compromise its customers’ privacy, he said. Right off the bat, Enphase was able to prove its microinverters were accurate as sensors, by showing that they had recorded past voltage spikes that correlated to HECO’s system-wide voltage readings. “That gave them confidence that the data is accurate,” he said. Interestingly enough, Enphase's data indicated that voltage fluctuations on the circuits showed little correlation to how much solar PV was installed on each circuit. The primary issue for solar-heavy circuits, instead, had to do with the age and quality of the power-conducting cables and transformers on each circuit, he noted. “A 50-year-old network can act very different than a brand-new network,” he said, with older equipment showing more propensity for problems caused by out-of-range voltages. 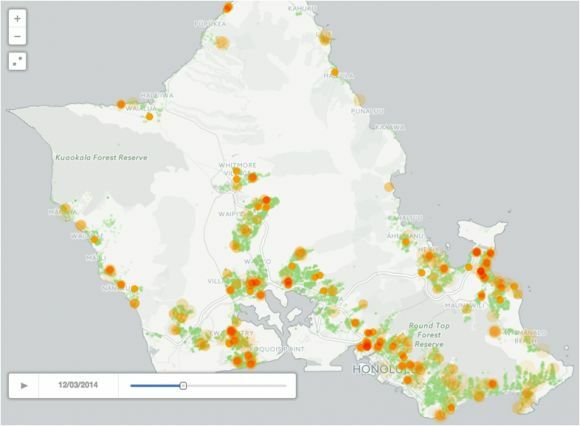 At that point, Enphase and HECO could overlay this circuit-by-circuit analysis with HECO’s data on where customers were awaiting approval for net energy metering (NEM) interconnections for solar systems, and get a much clearer view of which new interconnections could cause a problem, and which ones should be just fine. “That was the data that helped them open the interconnection queue,” he said. Without the data, HECO would have had to send crews out to install special sensors on each circuit in question, then wait awhile for those sensors to collect the data needed to determine their suitability for new solar, he noted. Importantly, these findings also appear to undercut HECO’s rule-of-thumb calculation that adding distributed solar in excess of 120 percent of a circuit’s daily minimum load is a reasonable threshold to deny further solar being added to that circuit. Even so, it’s likely that findings like these will be seized upon by solar advocates and the distributed PV providers like SolarCity as reason to question the commonly held utility stance that rising levels of PV penetration are a threat to grid stability. In the eyes of many in the pro-solar camp, these kinds of utility claims are red herrings, meant to obscure the real reason for utility opposition to more customer-owned solar -- their fear that it will undercut their electricity sales to customers. Of course, there’s no doubt that certain levels of solar on certain distribution circuits can cause voltage stability problems, or lead to bidirectional power flows that can cause problems for traditional grid protection gear or wear out transformers and power lines faster than usual. But in other cases, distributed solar can have a positive effect on these circuits, by reducing the amount of electricity that flows from substations to customers on hot, sunny summer afternoons, for example. One thing seems clear, however -- these kinds of questions need to be addressed on a specific, circuit-by-circuit basis. In that light, the more that utilities like HECO and distributed energy companies like Enphase can share data, the more likely we are to be able to answer these questions with facts, rather than rhetoric. That should be a good thing for utilities and solar customers alike.